MONROVIA, Calif., March 27, 2014 (SEND2PRESS NEWSWIRE) -- Five young women from Monrovia High School and their rhinestone-encrusted robot qualified to advance to the 2014 First Tech Challenge Robotics World Championships as a result of their strong performance at the West Super-Regional Robotics Tournament held near Sacramento at the former McClellan Air Force Base this past weekend, the Monrovia High School Robotics Program announced today. These five junior class women - the "Kings and Queens" team - stand out not just for their signature costumes of purple-velvet-and gold-embroidered renaissance dresses and the purple and gold medieval royal pavilion where the team relaxes between matches. Their purple robot "Your Highness" performed flawlessly during the competition even after a failure of the robot's transport cart sent it plunging to the floor of the arena in an unplanned four-foot "drop test." In fact, during the crucial and difficult software-controlled "autonomous period" of the matches, Your Highness achieved a perfect record of 10 of 10 successful autonomous runs scoring an average of 56 autonomous points per match out of a possible 60. The members of the Kings And Queens team - Amanda Sullivan, Melissa Johnson, Emma McIntosh, Jordan Nunez and Nicole Miller - designed and built their 18 by 18 inch robot from Tetrix parts, Plexiglas, metal shapes and machined aluminum to compete with alliances of robots on a 12 by 12 foot field. In competitions the robots are required to perform a variety of tasks in 2-1/2 minutes including picking up 2-inch plastic cubes and depositing them into elevated goals, navigating a wooden ramp, raising a flag up a pole, and gripping a cross bar and pulling themselves up completely off the floor, all while coordinating with a partner robot and while sharing the field with an opposing team of robots intent on accomplishing the same tasks. This marks the first trip to the world championships for Monrovia High School's four-year-old FTC robotics program which fields four separate student robotics teams supported by company sponsors, the community, and parents, and is led by physics teacher Tom Dobson. The success of the Kings And Queens caps a strong year for Monrovia High which saw all four of the program's teams qualify over the season to compete in the Los Angeles Regional Championship Tournament held in Monrovia in February. At the L.A. regional tournament the Kings And Queens team was awarded the Inspire Award, FTC Robotics highest award naming them the "role-model" team for their on-field success, teamwork, inspiration to others, representation of the First Robotics program to their school and community, and embodiment of "Gracious Professionalism," the core value of the FIRST program. The Monrovia High FTC robotics after-school program is one of many opportunities at Monrovia High School supporting STEM education (science, technology, engineering, and math) in conjunction with Monrovia's Math and Science Academy, and supported by the Monrovia Schools Foundation. The Monrovia High School FTC robotics program is actively seeking tax-deductible donations and company sponsorships to help cover the approximate $13,000 cost of taking the team to St. Louis in April. Donations may be made through our GoFundMe page at http://www.gofundme.com/75ehc4 . The Kings And Queens Facebook page is at https://www.facebook.com/FtcTeam4625 . More information about Monrovia High School: http://www.monroviaschools.net/MHS . * PHOTO 1 300dpi: Send2Press.com/mediaboom/14-0326-queens-drivers_300dpi.jpg . * PHOTO 2 300dpi: Send2Press.com/mediaboom/14-0327-your-highness_300dpi.jpg . * Photo 2 Caption: Kings And Queens robot "Your Highness." 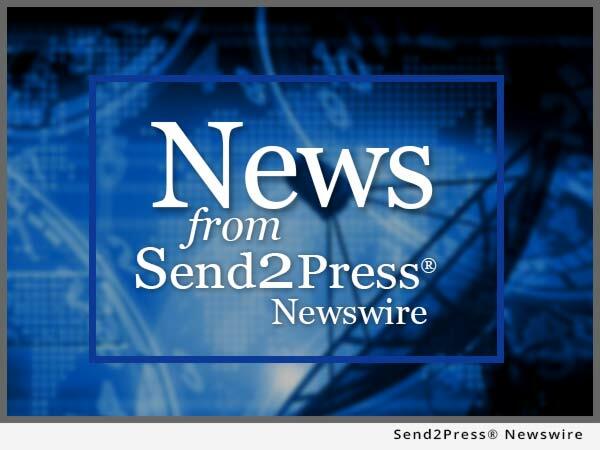 NEWS SOURCE: Monrovia High School Robotics Program :: This press release was issued on behalf of the news source (who is solely responsible for its accuracy) by Send2Press® Newswire, a service of Neotrope®. Original syndication source of this press release: https://www.send2press.com/newswire/Five-Queens-and-their-Robot-qualify-for-World-Championship_2014-03-0327-002.shtml.